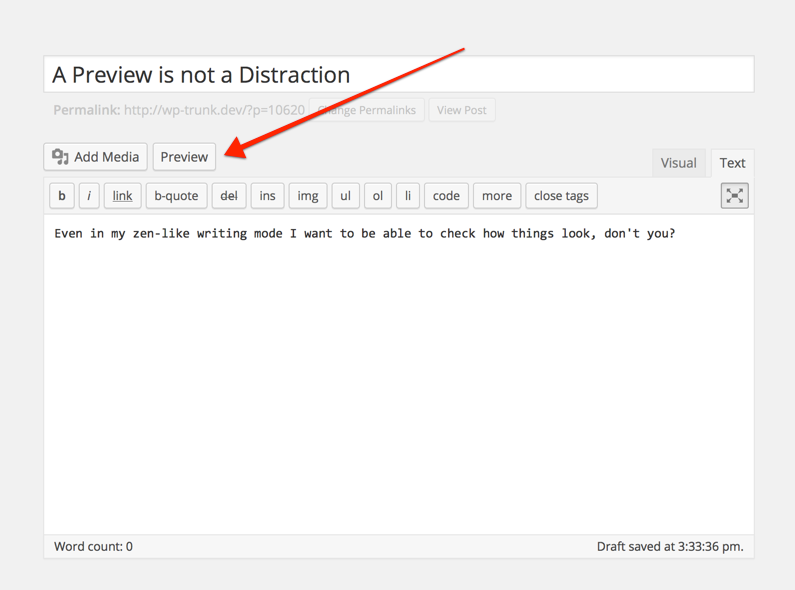 When the distraction-free writing mode was overhauled in WordPress 4.1 my little Preview Button plugin was rendered non-functional. Never fear, it’s now been updated and works a treat. This post is part of the project: Fullscreen Preview Button. View the project timeline for more context on this post.